Is there a deliberate effort by the government to dumb down the masses? The statement is hard to prove but there exists a great amount of data proving that the ruling elite not only tolerates, but effectively introduces policies that have a detrimental effect on the physical and mental health of the population. This series of articles looks at the many ways the modern man is being dumbed down. Part I looks at the poisons found in everyday foods, beverages and medications. The theme of dumbing-down and dehumanizing the masses are often discussed in articles on The Vigilant Citizen. The presence of those concepts in popular culture are, however, only the outward and symbolic expression of the profound transformation happening in our society. Scientific data has been proving for years that governments around the world are tolerating the selling of many products which have a direct and negative effect on cognitive and physical health. As we will see in this article many everyday products cause brain damage, impaired judgment and even a lower IQ. Is a dumber population something that is desired by the elite? Hitler once said “How fortunate for the leaders that men do not think.” An educated population knows its rights, understands the issues and takes action when it does not approve of what is going on. Judging by the incredible amount of data available on the subject, it seems that the elite want the exact opposite: an unhealthy, frightened, confused and sedated population. We will look at the effects of medication, pesticides, fluoride and aspartame on the human body and how those products are being pushed by people from inside the power structure. America has witnessed during the last decades a staggering rise of drugs being prescribed to treat all kinds of problems. Children are particularly affected by this phenomenon. Since the 1990′s, an ever-rising proportion of American children are being diagnosed with “illnesses” such as Attention Deficit Disorder (ADD) and are prescribed mind-altering drugs, such as Ritalin. The DEA has become alarmed by the tremendous increase in the prescribing of these drugs in recent years. Since 1990, prescriptions for methylphenidate have increased by 500 percent, while prescriptions for amphetamine for the same purpose have increased 400 percent. Now we see a situation in which from seven to ten percent of the nation’s boys are on these drugs at some point as well as a rising percentage of girls. Today, children who show too much energy, character or strength are being willfully sedated with powerful drugs which directly affect the way their brains function. Are we going in the right direction here? Even if ADD is not a clearly defined and documented disorder – it causes NO observable biological effects whatsoever – children are still being diagnosed with the illness in great numbers. This raises important ethical questions. “Pediatricians as well as ethicists have also voiced their concerns in usage of these stimulants. In an article published in the New York Times, they have questioned the appropriateness of medicating children without a clear diagnosis in hopes that they do better in school. They also asked whether the drugs should be given to adults failing in their careers or are procrastinators. They question the worthy of this method. “In its study, the U.S. Centers for Disease Control and Prevention looked at 2.4 billion drugs prescribed in visits to doctors and hospitals in 2005. Of those, 118 million were for antidepressants. The use of prescription pills might be of a great help for specific and properly diagnosed cases. 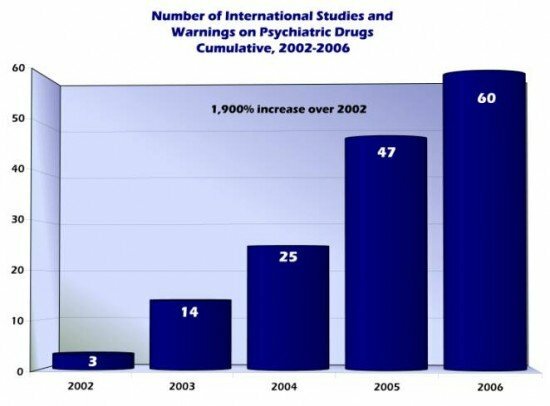 The pharmaceutical industry however, which has many “friends” in the highest levels of government, is pushing for the widespread use of psychiatric drugs within the public. Since 2002, a great number of pills claiming to fix all kinds of mental conditions have been marketed to the public, but many of those pills were approved for sale without proper research for side effects. Even worse: the side effects might have been known but hidden to the public. Below is a list of warnings issued on commonly sold psychiatric drugs. Some of those side effects are actually frightening as a pill should not be able to have that much power over the human brain. Think about it: Some drugs are subject to warnings because they can cause you to … commit suicide? June: The Therapeutic Goods Administration, the Australian equivalent of the FDA, reported that the latest antipsychotic drugs could increase the risk of diabetes. June: The FDA ordered that the packaging for the stimulant Adderall include a warning about sudden cardiovascular deaths, especially in children with underlying heart disease. October 15: The FDA ordered its strongest “black box” label for antidepressants warning they could cause suicidal thoughts and actions in under those under 18 years old. October 21: The New Zealand Medicines Adverse Reactions Committee recommended that older and newer antidepressants not be administered to patients less than 18 years of age because of the risk of suicide. 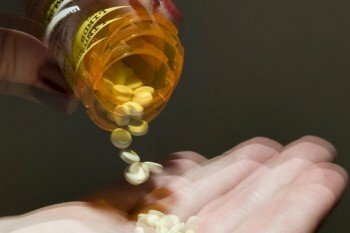 February 9: Health Canada, the Canadian counterpart of the FDA, suspended marketing of Adderall XR (Extended Release, given once a day) due to reports of 20 sudden unexplained deaths (14 in children) and 12 strokes (2 in children). April 11: The FDA warned that antipsychotic drug use in elderly patients could increase the risk of death. June 30: The FDA warned that the antidepressant Cymbalta could increase suicidal thinking or behavior in pediatric patients taking it. It also warned about the potential increased risk of suicidal behavior in adults taking antidepressants. August: The Australian Therapeutic Goods Administration found a relationship between antidepressants and suicidality, akathisia (severe restlessness), agitation, nervousness and anxiety in adults. Similar symptoms could occur during withdrawal from the drugs, it determined. August 19: The European Medicines Agency’s Committee for Medicinal Products warned against child antidepressant use, stating that the drugs caused suicide attempts and thoughts, aggression, hostility, aggression, oppositional behavior and anger. September 26: The Agenzia Italiana del Farmaco (Italian Drug Agency, equivalent to the FDA) warned against use of older (tricyclic) antidepressants in people under 18 years old. It also determined the drugs were associated with heart attacks in people of any age. September 29: The FDA ordered that labeling for the “ADHD” drug Strattera include a boxed warning about the increased risk of suicidal thinking in children and adolescents taking it. October 17: The FDA warned that the antidepressant Cymbalta could cause liver damage. October 24: The FDA withdrew the stimulant Cylert from the market because of the risk of liver toxicity and failure. November: The FDA warned that the antidepressant Effexor could cause homicidal thoughts. February 9: The FDA’s Drug Safety and Risk Management Advisory Committee urged that the strongest “black box” warning be issued for stimulants, because they may cause heart attacks, strokes and sudden death. February 20: British authorities warned that Strattera was associated with seizures and potentially lengthening period of the time between heartbeats. March 22: An FDA advisory panel heard evidence of almost 1,000 reports of kids experiencing psychosis or mania while taking stimulants. May 3: FDA adverse drug reaction reports linked antipsychotic drugs to 45 child deaths and 1,300 serious adverse reactions, such as convulsions and low white blood cell count. May 12: The manufacturer of Paxil warned that the antidepressant increases the risk of suicide in adults. May 26: Health Canada issued new warnings of rare heart risks for all drugs prescribed for “ADHD,” including the risk of sudden death. June 2: An FDA study determined that the antipsychotic drug, Risperdal, might cause pituitary tumors. The pituitary gland, at the base of the brain, secretes hormones that promote growth, and regulates body functions. Antipsychotics may increase prolactin, a hormone in the pituitary gland, and this increase has been linked to cancer. Risperdal was found to increase prolactin levels more frequently than in other antipsychotics. July 19: The FDA said antidepressant packaging should carry warnings that they may cause a fatal lung condition in newborns whose mothers took SSRI antidepressants during pregnancy. Migraine sufferers also need to be warned that combining migraine drugs with SSRIs could result in a life-threatening condition called serotonin syndrome. The modern man ingests in his lifetime an incredible amount of chemicals, artificial flavors and additives. Although there is growing awareness regarding healthy eating, there is also a lot of misinformation and disinformation. At the present time, a single company – Monsanto – produces roughly 95% of all soybeans and 80% of all corn in the US. Considering this, the corn flakes you had for breakfast, soda you drank at lunch and beefstew you ate for dinner likely were produced from crops grown with Monsanto’s patented genes. There are numerous documents and films exposing Monsanto’s strong-arming of the agricultural industry, so I won’t expand on that issue. 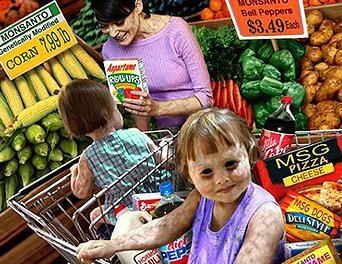 It is however important to note that a virtual monopoly currently exists in the food industry and there’s a unhealthy link between Monsanto and the American government: Many people who have passed laws in the fields of food, drugs and agriculture were also, at some point on the payroll of Monsanto. In other words, the elite decides which foods are sold to you. * Justice Clarence Thomas worked as an attorney for Monsanto in the 1970s. Thomas wrote the majority opinion in the 2001 Supreme Court decision J. E. M. Ag Supply, Inc. v. Pioneer Hi-Bred International, Inc.|J. E. M. AG SUPPLY, INC. V. PIONEER HI-BREDINTERNATIONAL, INC. which found that “newly developed plant breeds are patentable under the general utility patent laws of the United States.” This case benefited all companies which profit from genetically modified crops, of which Monsanto is one of the largest. * Michael R. Taylor was an assistant to the Food and Drug Administration (FDA) commissioner before he left to work for a law firm on gaining FDA approval of Monsanto’s artificial growth hormone in the 1980s. Taylor then became deputy commissioner of the FDA from 1991 to 1994. Taylor was later re-appointed to the FDA in August 2009 by President Barack Obama. * Dr. Michael A. Friedman was a deputy commissioner of the FDA before he was hired as a senior vice president of Monsanto. * Linda J. Fisher was an assistant administrator at the United States Environmental Protection Agency‎ (EPA) before she was a vice president at Monsanto from 1995 – 2000. In 2001, Fisher became the deputy administrator of the EPA. * Former Secretary of Defense Donald Rumsfeld was chairman and chief executive officer of G. D. Searle & Co., which Monsanto purchased in 1985. Rumsfeld personally made at least $12 million USD from the transaction. 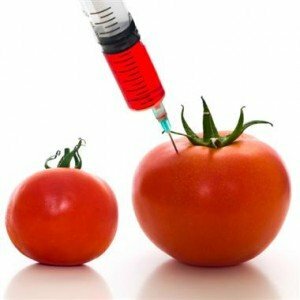 Many laws (approved by ex-Monsanto employees) have facilitated the introduction and the consumption of genetically engineered foods by the public. “According to current statistics, 45% of corn and 85% of soybeans in the United States is genetically engineered (GE). 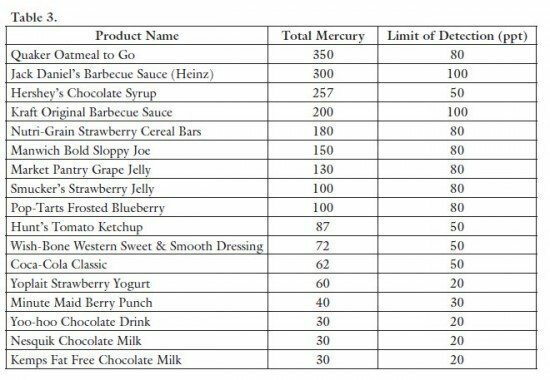 Estimates of 70-75% of processed foods found at our local supermarkets are believed to contain GE ingredients. Although it is yet impossible to determine the long-term effects of genetically engineered foods on the human body, some facts have already been established. GE foods contain less nutrients and, most importantly, they are “chemical-friendly”. Genetic modifications engineered by Monsanto makes their products bigger and more aesthetically pleasing. Another, less discussed “improvement” is the plants’ ability to withstand nearly unlimited amounts of Roundup brand pesticides. 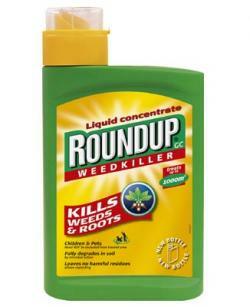 This encourages farmers to use that brand of pesticides which is produced by … Monsanto. Another source of harmful chemicals is found in the modern man’s water supplies and soft drinks. As of 2002, the CDC statistics show that almost 60% of the U.S. population receives fluoridated water through the taps in their homes. 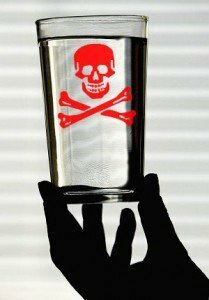 The official reason for the presence of fluoride in our tap water? It prevents tooth decay. Ok … really? Is this mildly important benefit worth the consuming of great amounts of this substance by the population? Some studies even denied the dental benefits of fluorided water. A lesser known, but extremely important side effect of fluoride is the calcification of the pineal gland. Up until the 1990s, no research had ever been conducted to determine the impact of fluoride on the pineal gland – a small gland located between the two hemispheres of the brain that regulates the production of the hormone melatonin. Melatonin is a hormone that helps regulate the onset of puberty and helps protect the body from cell damage caused by free radicals. It is now known – thanks to the meticulous research of Dr. Jennifer Luke from the University of Surrey in England – that the pineal gland is the primary target of fluoride accumulation within the body. The soft tissue of the adult pineal gland contains more fluoride than any other soft tissue in the body – a level of fluoride (~300 ppm) capable of inhibiting enzymes. The pineal gland also contains hard tissue (hyroxyapatite crystals), and this hard tissue accumulates more fluoride (up to 21,000 ppm) than any other hard tissue in the body (e.g. teeth and bone). Other than regulating vital hormones, the pineal gland is known to serve an esoteric function. It is known by mystic groups as the “third eye” and has been considered by many cultures to be part of the brain responsible for spiritual enlightenment and the “link to the divine”. Is enlightenment out of bounds for the modern man? Aspartame is an artificial sweetner used in “sugar-free” products such as diet sodas and chewing gum. Since its discovery in 1965, Aspartame caused great controversy regarding its health risks – primarily causing brain tumors – and was denied its application to be sold to the public by the FDA. Searle, the company attempting to market Aspartame then appointed Donald Rumsfeld as CEO in 1977 … and things changed drastically. In a short period of time, Aspartame could be found in over 5,000 products. Years after its approval by the FDA, leading scientists still urge the organization to ban this product. Those symptoms are however only the tip of the iceberg. Aspartame has been linked to severe illnesses and long term health issues. If the main message of this website has been to this point “watch what enters your mind”, the main message of this article is “watch what enters your body.” The consumption of the products stated above will probably not cause an immediate and noticeable effect. But, after many years of ingesting those substances, one’s thoughts become increasingly clouded and foggy, the ability to concentrate becomes hindered and judgment becomes impaired. In other words, the once sharp mind becomes dull. What happens when a population is heavily sedated and poisoned on a daily basis? It becomes numb, zombie-like and docile. Instead of asking important questions and seeking a higher truth, the dumbed-down mass simply accomplishes its daily tasks and absorbs whatever the media tells them. Is this what the elite is looking to create? There is, however, a silver lining here. Many of the negative effects of the substances described above are reversible. And YOU are the one who decides what enters your body. This article provides a brief overview of dangers lurking for the unaware consumer, but tons of information is available on which to base enlightened decisions. Your body is a temple. Will you allow it to be desecrated? It has been highly publicized that mercury is found in dangerous quantities in seafood, such as tuna, swordfish and tilefish. This creates a rather ironic situation: Instead of making you smarter because of all the Omega-3 they contain, the fish produce exactly the opposite effect on the brain due to mercury poisoning. * The U.S. government is the largest purchaser of vaccines in the country. 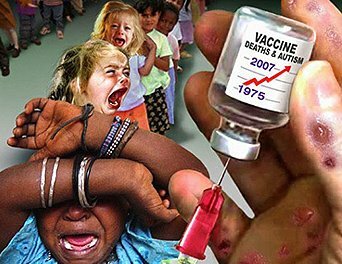 In fact, nearly 30 percent of the Centers for Disease Control’s (CDC) annual budget is composed of purchasing vaccines and ensuring vaccination is completed for every child in the country. * Private insurance companies, which do the best liability studies, have completely abandoned coverage for damage to life and property due to: Acts of God, nuclear war, nuclear power plant accidents and … vaccination. * Laws have been passed to protect vaccine manufactures from liability, while at the same time, state laws require parents to inject their children with up to 100 vaccination antigens prior to entering school. If a vaccine injury–or death–occurs after a vaccine, parents cannot sue the doctor, the drug company or the government; they are required to petition the Vaccine Court for damages, a process that can take years and often ends with a dismissal of the case. * Each state has school vaccination laws that require children of appropriate age to be vaccinated for several communicable diseases. State vaccination laws mandate that children be vaccinated prior to being allowed to attend public or private schools. 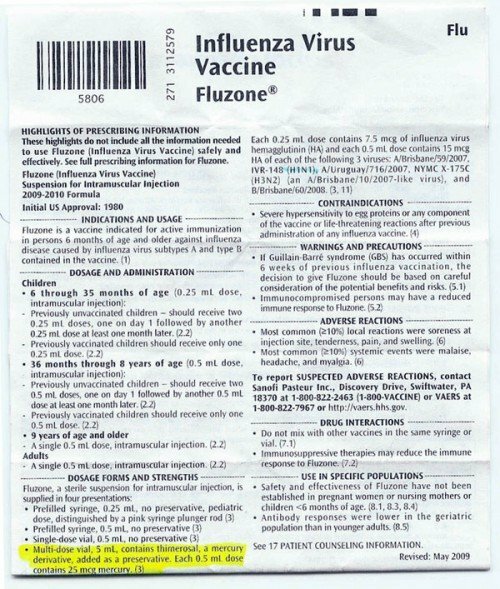 Failure to vaccinate children can not only result in children being prohibited from attending school, but their parents or guardians can receive civil fines and criminal penalties. Schools don’t usually tell parents is that in every state, an exemption exists allowing parents to legally refuse vaccines while still allowing their children to attend school. * The medical industry advocates vaccines, often demanding that parents vaccinate their children in order to remain under their doctor’s care. A sizable portion of a pediatrician’s income is derived from insurance reimbursement for vaccinations. The ever-expanding vaccination schedule that includes increasingly more expensive vaccines has been a source of increased revenues for vaccinating doctors. According to a statement from the Association of American Physicians & Surgeons, or AAPS, the numbers from California show that reported autism rates hit a high of 800 in May 2003. If that trend had continued, the reports would have risen to more than 1,000 by the beginning of 2006. But the number actually went down to 620, a real decrease of 22 percent, and a decrease from the projection of 35 percent." * Research links HFCS to increasing rates of obesity and diabetes in North America, especially among children. 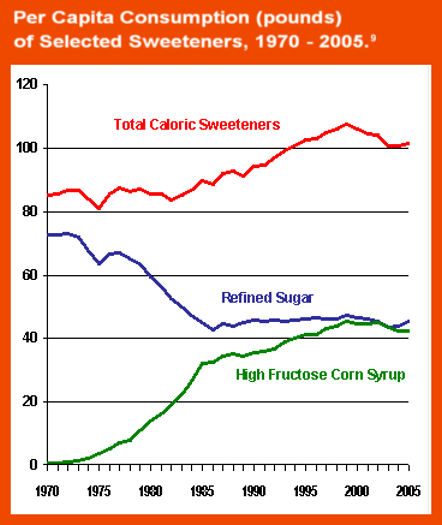 Fructose converts to fat more than any other sugar. And being a liquid, it passes much more quickly into the blood stream. * Beverages containing HFCS have higher levels of reactive compounds (carbonyls), which are linked with cell and tissue damage leading to diabetes. 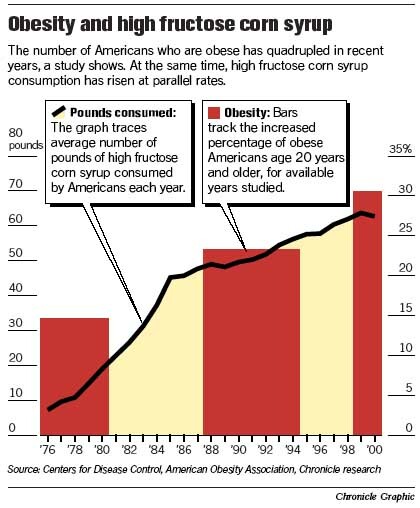 * There is some evidence that corn fructose is processed differently in the body than cane sugar, leading to reduced feelings of satiation and a greater potential for over-consumption. * Studies by researchers at UC Davis and the University of Michigan have shown that consuming fructose, which is more readily converted to fat by the liver, increases the levels of fat in the bloodstream in the form of triglycerides. * Unlike other types of carbohydrate made up of glucose, fructose does not stimulate the pancreas to produce insulin. Peter Havel, a nutrition researcher at UC Davis who studies the metabolic effects of fructose, has also shown that fructose fails to increase the production of leptin, a hormone produced by the body’s fat cells. Both insulin and leptin act as signals to the brain to turn down the appetite and control body weight. Havel’s research also shows that fructose does not appear to suppress the production of ghrelin, a hormone that increases hunger and appetite. * Because the body processes the fructose in HFCS differently than it does cane or beet sugar, it alters the way metabolic-regulating hormones function. It also forces the liver to kick more fat out into the bloodstream. The end result is that our bodies are essentially tricked into wanting to eat more, while at the same time, storing more fat. * A study in The Journal of the National Cancer Institute suggested that women whose diet was high in total carbohydrate and fructose intake had an increased risk of colorectal cancer. * HFCS interferes with the heart’s use of key minerals like magnesium, copper and chromium. * HFCS has been found to deplete the immune system by inhibiting the action of white blood cells. The body is then unable to defend against harmful foreign invaders. * Research suggests that fructose actually promotes disease more readily than glucose. Glucose is metabolized in every cell in the body, but all fructose must be metabolized in the liver. 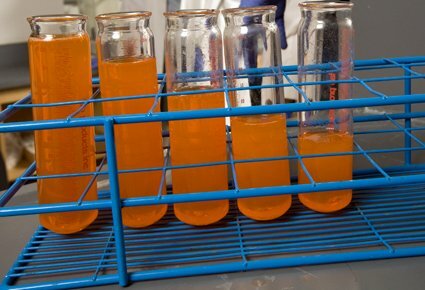 The livers of test animals fed large amounts of fructose develop fatty deposits and cirrhosis, similar to problems that develop in the livers of alcoholics. * HFCS is highly refined–even more so than white sugar. * The corn from which HFCS is derived is almost always genetically modified, as are the enzymes used in the refining process. * There are increasing concerns about the politics surrounding the economics of corn production (subsidies, tariffs, and regulations), as well as the effects of intensive corn agriculture on the environment. "Research scientists have long suspected that a relationship existed between obesity and a decline in brain power. New studies now confirm the contention that being overweight is detrimental to the brain. Researchers at the University of California in an article published in the Archives of Neurology demonstrated a strong correlation between central obesity (that is, being fat around the middle) and shrinkage of a part of the brain ( the hippocampus) fundamental for memory (as measured on MRI scans)." The first two parts of this series describes the negative effects that some commonly consumed chemicals have on the body and brain. This third and final part looks at some natural ways to keep the brain healthy and provides tips to rid the body of dangerous substances. In other words, how to fight back against the dumbing down of society! Parts I and II of this series of articles identified some toxic substances found in common foods and medicines and described some of their effects on the human brain. The main culprits discussed were aspartame, mercury, fluoride and high fructose corn syrup (HFCS). Whether these substances disturb the nervous system, decrease cognitive function, impair judgment, or affect the memory, the net result is the general dumbing down of society. So, after dwelling in the awful world of poisonous chemicals and corrupted officials, the only fitting way to conclude this series of articles is to explore the all-natural ways to restore health. Warning: This article provides tips to naturally detoxify the body. If you are in need of a serious detox program, please consult a professional. The first step in ridding your body from poisons is, quite logically, to stop ingesting poisons. It sounds simple enough, but this step is probably the most difficult, as many toxins are found in everyday foods and even tap water. An increased vigilance is necessary in everyday life and, sometimes, some annoying actions must be taken to keep the toxins out of your body. Nevertheless, once you actually feel your body and mind healing, you’ll be proud of your efforts. Before we look at the ways to avoid specific toxins, here are some general guidelines any health-conscious person should apply at all times: Avoid processed foods and artificial drinks. Instead, look for organic and locally grown produce or, even better, grow your own fruits, vegetables and herbs. By doing so, you automatically avoid many harmful substances, including MSG, HFCS, pesticides, sodium fluoride and mercury. You also save money, which is always nice. When buying groceries, always read the labels and, as they say, if you can’t read it, don’t eat it. There are two types of fluoride: calcium fluoride and sodium fluoride. Calcium fluoride is naturally found in water sources, while sodium fluoride is a synthetic waste product of the nuclear, aluminum, and phosphate fertilizer industries. Guess which type is found in our water? Right, the nasty one. 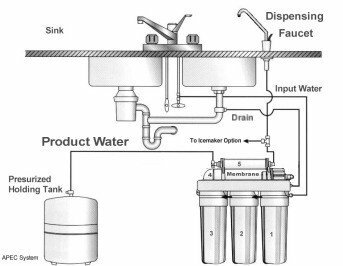 Regular water filters such as Brita do a good job in reducing the taste of metals and chemicals in the water but they do not filter out the fluoride. Purifying the water through reverse osmosis is the most effective way to remove sodium fluoride from water. Some processed foods also contain high concentrations of sodium fluoride, including instant tea, grape juice products, and soy milk for babies, so once again, avoid processed foods. Also, switch to a fluoride-free toothpaste (or at least try not to swallow the $0.93 Colgate you bought at Walmart). Consuming foods rich in calcium and magnesium help prevent fluoride intoxication, as they prevent the poison from attaching to the body. First, if you or your children are being vaccinated, always request a Thimerosal-free shot. Second, avoid fish and seafood with high mercury levels; fish with the highest levels of mercury are marlin, orange roughy, shark, swordfish, tilefish and tuna (ahi, albacore and Yellowfin). Some seafood has low mercury levels, making them safer to consume, including anchovies, catfish, clam, crab, shrimp, flounder, salmon, sardine, tilapia and trout. As rule of thumb, bigger fish contain more mercury since they eat smaller fish and absorb all their mercury, and live longer, allowing mercury to build up. Always read labels and avoid “sugar-free” products. Aspartame is found in soft drinks, over-the-counter drugs & prescription drugs (very common, listed under “inactive ingredients”), vitamin & herb supplements, yogurt, candy, breath mints, cereals, sugar-free chewing gum, cocoa mixes, coffee beverages, instant breakfasts, gelatin desserts, frozen desserts, juice beverages, laxatives, milk drinks, shake mixes, tabletop sweeteners, tea beverages, instant teas and coffees, topping mixes and wine coolers. Read the labels and if you find high fructose corn syrup at the top the list of ingredients, tell the product “oh no you didn’t!”, snap your fingers with attitude and put it back on the shelf. Ignore the confused looks of other shoppers. We will now look at some all-natural ways to detox the body from harmful substances. The standard procedure for removing heavy metals from the body is called “chelation.” It is accomplished by administering a chelating agent – usually dimercaptosuccinic acid (DMSA) – that binds to the heavy metals in the body and cause them to be naturally flushed out. This type of treatment is quite strenuous, has many side-effects and should be undertaken only with medical supervision. If, however, you believe that ridding the body of a harsh substance with another harsh substance might be self-defeating, I tend to agree with you. Fortunately there are herbs and spices that naturally act as chelating agents: Cilantro does a great job at it. The most widely used and loved herbs and spices worldwide are derived from the same plant, Coriandrum sativum. The leaves of this plant are frequently referred to as cilantro, while the seeds are most commonly called coriander. Other than making any dish spectacular, the herb has the unique power of neutralizing mercury. Studies have however suggested that cilantro only moves the problem to other parts of the body and thus must be used with another agent to complete the detoxification process. In addition to repairing and activating the body’s detoxification functions, chlorella is known to bind to all known toxic metals and environmental toxins and facilitate their evacuation. This makes chlorella cilantro’s perfect sidekick. “Because cilantro mobilizes more toxins then it can carry out of the body, it may flood the connective tissue (where the nerves reside) with metals, that were previously stored in safer hiding places. This process is called re-toxification. It can easily be avoided by simultaneously giving an intestinal toxin-absorbing agent. Our definite choice is the algal organism chlorella. A recent animal study demonstrated rapid removal of aluminum from the skeleton superior to any known other detox agent. 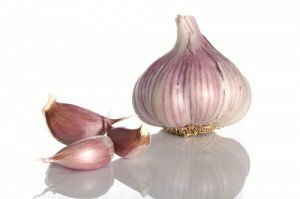 We may not be sure if garlic actually repels vampires, but we can be certain it repels toxins from the body. So, garlic zaps mercury and lead and helps the body evacuate the metals from the body. Perhaps bad breath is the way to good health. This plant from the ginger family is widely used in Southeast Asia as a spice and its cleaning powers have been renowned for centuries. Turmeric is enshrined in Ayurvedic medicine as the king of spices. The bitter spice helps cleanse the liver, purify the blood, and promotes good digestion and elimination. It possesses powerful anti-inflammatory properties, but none of the unpleasant side effects of anti-inflammatory drugs. It has been used for skin cleansing, color enhancement and food preservation. Turmeric steps up the production of three enzymes–aryl-hydrocarbon-hydroxylase, glutathione-S-transferase, and UDP-glucuronyl-transferase. These are chemical “knives” that break down potentially harmful substances in the liver. 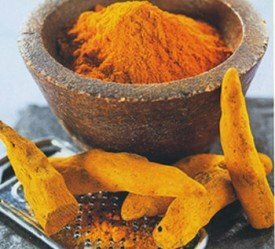 Turmeric offers similar protection for people who are taking medications such as methotrexate and other forms of chemotherapy, which are metabolized by, or shuttled through, the liver. Scientific studies have recently discovered that mixing black pepper with tumeric exponentially increases its healing properties on the body. 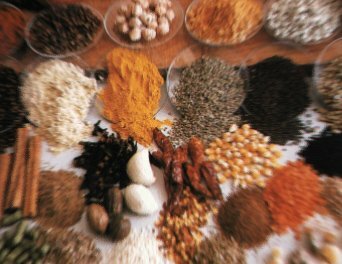 No wonder traditional South Asian recipes often combine the two spices. So don’t hold back … grind some black pepper into that tumeric! It is not a secret that consuming the fatty acids found in fish brings many healthy benefits. The acids do wonders for our brains. In fact, Omega-3 is literally our brain’s fuel, helping to maintain its core functions. Our most important organ heavily relies on Eicosapentaenoic acid (EPA) and Docosahexaenoic acid (DHA), two long-chain Omega-3 fatty acids that our bodies cannot create. The only way to obtain those acids is through diet. * Research by the University of Western Australia found that women who took fish oil supplements during the latter part of their pregnancy had babies with better hand-to-eye coordination, were better speakers and could understand more at the age of two and a half than babies whose mothers who were given olive oil instead. * A study by Aberdeen University, led by professor Lawrence Whalley, found that fish oil helps the brain to work faster, increases IQ scores and slows down the aging process. * The Durham trials led by Dr. Madeleine Portwood have consistently found that fish oil improves behaviour, concentration and learning in the classroom. * Researcher Natalie Sinn in Australia found fish oil to be more effective than Ritalin for ADHD. * Hibbeln et al. looked at diet in 22 countries and found an significant association between low fish consumption and post-natal depression. * Dr. Malcolm Peet found that ethyl-EPA, a highly concentrated form of Omega 3, dramatically reduces depression. “The fatty acid complexes EPA and DHA in fish oil make the red and white blood cells more flexible thus improving the microcirculation of the brain, heart and other tissues. All detoxification functions depend on optimal oxygen delivery and blood flow. EPA and DHA protect the brain from viral infections and are needed for the development of intelligence and eyesight. The most vital cell organelle for detoxification is the peroxisome. These small structures are also responsible for the specific job each cell has. That is all well and good, but what are the best sources of fish oil? Consuming large quantities of fish would be the logical choice, but knowing that many species contain high levels of mercury, doing so might actually cause further damage to the brain. For this reason, Omega-3 supplements are probably the best way to keep the body well-stocked with EPA and DHA. 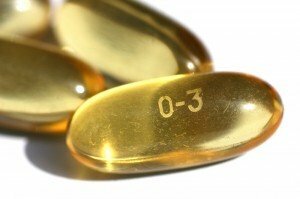 When selecting an Omega-3 supplement, you need to make sure it is molecularly distilled and is high in both DHA and EPA, especially DHA. Molecular distillation is a special process that removes all the toxins from the oil (including mercury), ensuring it is safe for human consumption. Avoid low-grade products. They often contain low levels of fatty acids and are filled with other oils and preservatives. * Sufficient sleep is vital to keeping the body and the brain in good condition. Conversely, sleep deprivation impairs one’s ability to think handle stress, maintain a healthy immune system and moderate one’s emotions. * Regular exercise is critically important for detoxification. It allows the evacuation of toxins through skin while improving the entire metabolism. * Stimulate your brain: read, think, meditate and challenge it constantly. This article examines the ways to avoid harmful substances in everyday products and looks at a handful of all-natural ways to free the body from their poisonous grasp. In addition to providing us the necessary nutrients used by the body to evacuate toxins, the natural substances described in this article also help maintain general heath. Regularly consuming cilantro, garlic, turmeric and Omega-3 boosts the immune system, improves rational thinking and increases memory. The amazing properties of those simple ingredients are only now being (slowly) documented by science, but they have been used by cultures worldwide for centuries. We are conditioned to treat ailments caused by artificial products with other artificial products, that, in turn, can cause other ailments. It is only by breaking this vicious circle that we can reclaim ownership of our brains and reach our fullest potential. So, today’s a new day: Put down the cheeseburger-flavored Doritos … and change your life. Love it; great article, add the chem trails. Re: The Program to Dumb Down Society: It's already Here! It is a shame that those in control: Could control so many, so quickly! [within the last 50 years]. In this the last generation of Technological Children? Could the human mind be so infected by Electronics; that no one understands HOW DUMB THEY ARE? 'More people should be offered drugs when suffering from mental health problems, according to a new study which calls into question recent concerns about over prescription. Research from Oxford University, which was published in The Lancet, found that more than one million extra people would benefit from being prescribed drugs and criticised “ideological” reasons doctors use to avoid doing so. Data from 522 trials, involving 116,000 patients, found that every one of the 21 antidepressants used were better than a placebo. Spam_A Spam_B In general, newer antidepressants tended to be better tolerated due to fewer side effects, while the most effective drug in terms of reducing depressive symptoms was amitriptyline – a drug first discovered in the 1950s. “Antidepressants are routinely used worldwide yet there remains considerable debate about their effectiveness and tolerability,” said John Ioannidis of Stanford University, who worked with a team of researchers led by Andrea Cipriani. Mr Cipriani said the findings offered “the best available evidence to inform and guide doctors and patients” and should reassure people with depression that drugs can help.